Researchers from the Department of Sports Science and Clinical Biomechanics at the University of Southern Denmark and the University of the Faroe Islands conducted the study in the Faroe Islands. The study involved 50 people aged 55 to 70 – 25 men and 25 women who were prediabetic, had poor physical fitness and were primarily overweight. “Individuals with prediabetes and type 2 diabetes have a higher prevalence of osteopenia and bone fractures, so it is essential to develop treatment protocols for them,” said Magni Mohr, project leader and associate professor at the University of Southern Denmark. The initial bone health of the participants and training-induced effects were examined using DXA scans. Blood samples were also taken to check plasma markers for bone turnover and bone formation. Prior to the intervention, 24% of the participants had femoral osteoporosis and 73% were diagnosed with femoral osteopenia. They underwent a 16-week intervention, including dietary guidance and twice-weekly football training sessions that lasts for 30-60 minutes. The training time gradually increased from 30 minutes per session in the first 2 weeks to 60 minutes per session in the last 10 weeks. After 16 weeks of training, positive effects were observed in bone mineral content of the femoral neck (3.2%) and femoral shaft (2.5%) as well as for bone mineral content (32 g) among the participants. There was a 23% increase in plasma osteocalcin and 52% increase in P1NP, with greater changes compared to the control group. He concluded that the combination of dietary advice and football training produced good results on all parameters. The study participants enjoyed the football training and no severe bone, joint or muscle injuries were reported. 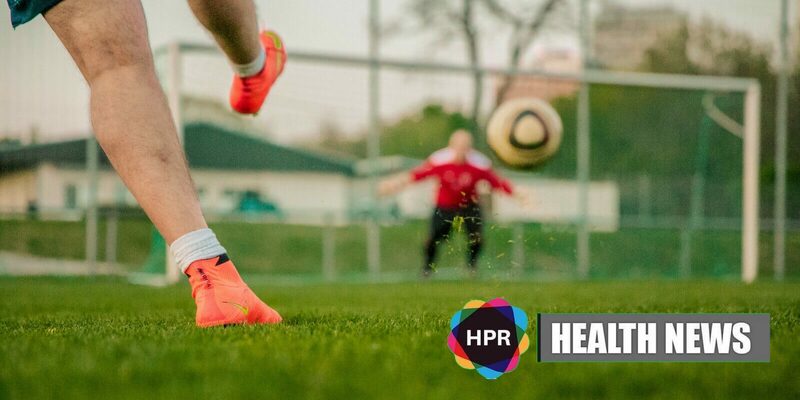 “Normally, you wouldn’t think of football as something for 70-year-olds with low physical capacity or poor bone health, but we saw promising training effects and excellent attendance even though the training took place outdoors in winter time. The participants formed good relationships, had fun together and many of them have continued to play Football Fitness,” concludes Mohr. The findings were published in two separate articles in the renowned Scandinavian Journal of Medicine and Science in Sports, with the second article focusing on the effects on bone health.